With so many wheelers out there, is there a chance 13.5 will be for wheeler as well for the winter series, a kind of stock 4wd buggy class? Ordered a 13.5.. its on! Eddie the Flyer shows Both. .
Kraig, will there be intermediate and expert classes for buggy? Or just one class? 13.5 usually is non ramping, i would assume it is. can 13.5 have esc timing? Flier on previous post has been updated. 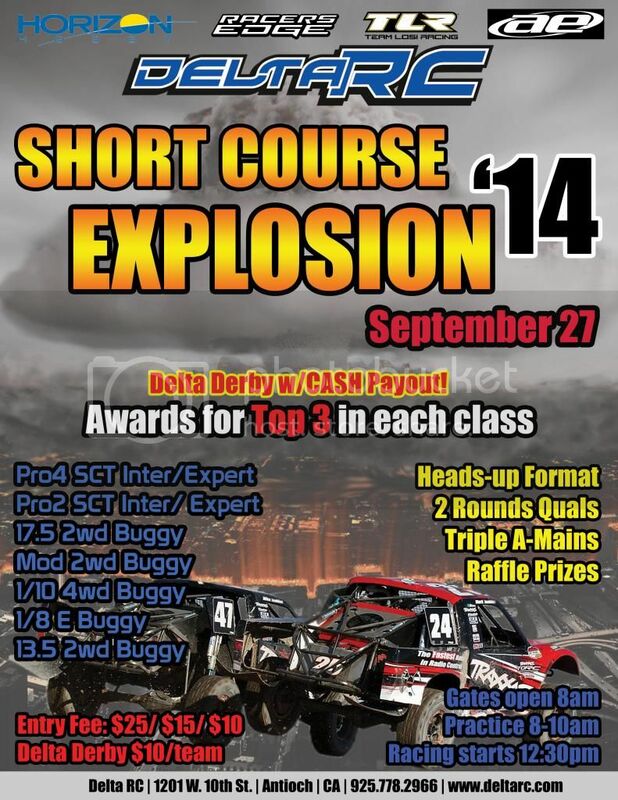 There will be 3 2wd buggy classes, 17.5NR, 13.5 and Mod. This is going to be a fun race. Raffle prizes starting to come in. Look forward to seeing everyone at the track. Yah but I think we caught you when you were up side down in the middle some where in the middle. I heard yuh. Supper fun race and track. Keep up the fun work. One of the years most fun tracks! Ken johns set up an awsome fun track. The middle double double is so fast and not technical. Makes great for sweet passes. Who ever is missing out this track is definitely like a roller coaster ride. It only requires bald tires and a little bit of side bite. So hooked up. X2 bald all around! There should be enough 4wd SCTs this Saturday to make a class. Four for sure, maybe five. Bring it! Track is amazing and it is holding up better than ever before. So much fun. Holy Crap just saw track.. pick thanks Jessie and KraigT I go away for a week and looks whats up.. gosh darn..